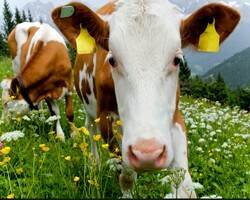 The new federal Animal Disease Traceability Rule went into effect on March 11, 2013. The intent is to improve our ability to trace livestock and poultry when there is a disease event. In 2006, the USDA initiated the National Animal Identification System (NAIS). This voluntary program asked producers to register their premises and identify their animals with a national animal tracking database. After seeing low enrollment in NAIS, the Department launched a series of efforts in 2009 to assess the issues and concerns which were preventing widespread acceptance of NAIS in the livestock community. Producers raised several serious concerns about the protection of proprietary information through premises registration and the program's overall lack of flexibility. As a result, NAIS was never fully implemented and eventually discontinued. The new animal disease traceability framework seeks a new and different approach. The new rule only applies to cattle that move interstate. The USDA and individual states will start with education and phase in the compliance portion. The rule will require all cattle to have Interstate Certificates of Veterinary Inspection (ICVI) except those moving directly to slaughter or through a market and then to slaughter. The federal rule does allow exceptions where the sending and receiving states have an agreement to use documentation other than the ICVI. New York is working with the New England States and has reached out to Pennsylvania and Ohio to put into place agreements to allow the movement of bob veal calves between those states without an ICVI. This would avoid stressful delays in holding these calves waiting for the paperwork to be processed. In addition, the scope of "official" identification has been expanded from the original proposed rule to include brands, tattoos and brand registration and not just EID and metal ear tags. The consent of the shipping and receiving states is necessary, however. The use of back tags as an alternative to ear tags for cattle and bison moved directly to slaughter has been permanently maintained. It is expected that details of this new rule will change as agreements between states are reached. Check with your veterinarian or with the NYS Division of Animal Industries state veterinarian in your area for more information.